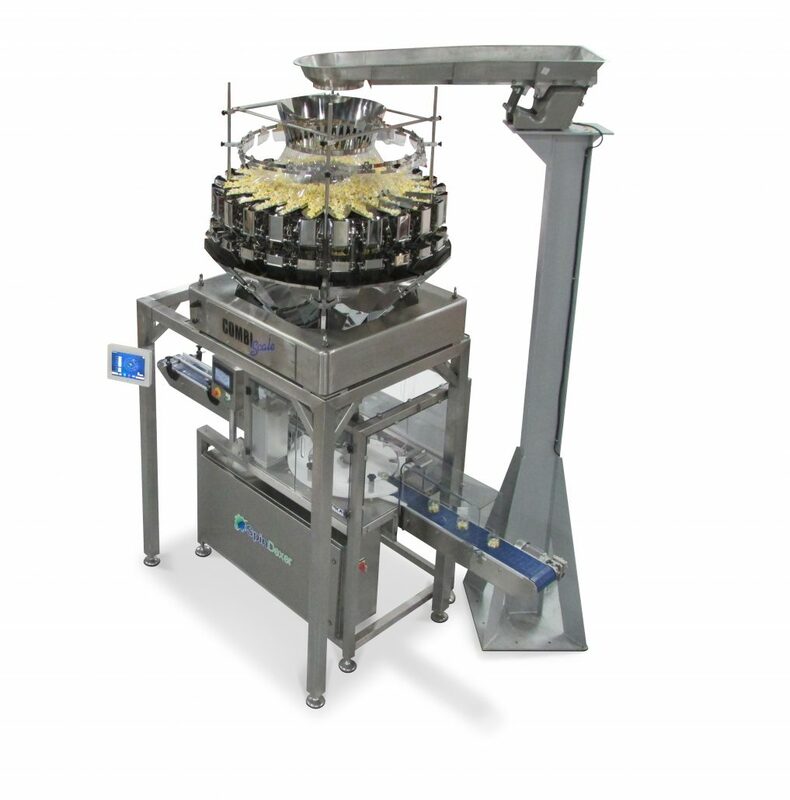 Automatically fill rigid containers with our container filling machines. Weigh fill plastic, cardboard, metal or glass containers seamlessly with our custom designed solutions. 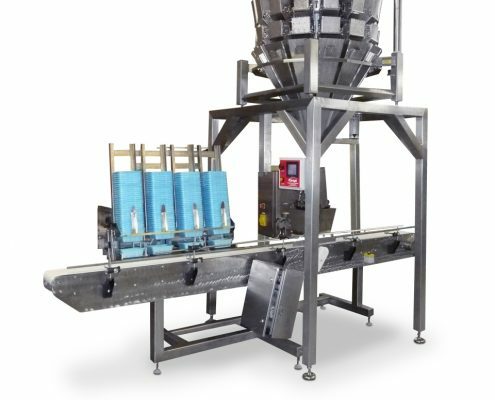 Great for weigh filling containers with hardware, candy, chocolates, nuts, snacks, pharmaceuticals, powders, tablets, gel caps, medical cannabis, medicinal’s and much more. 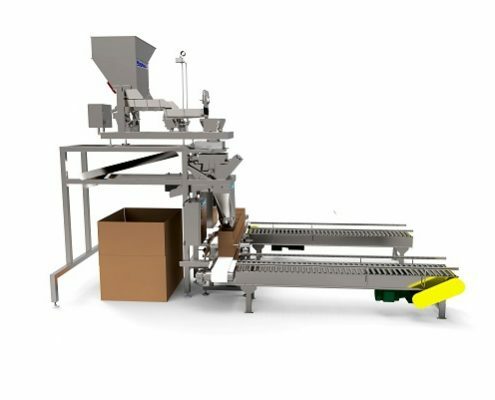 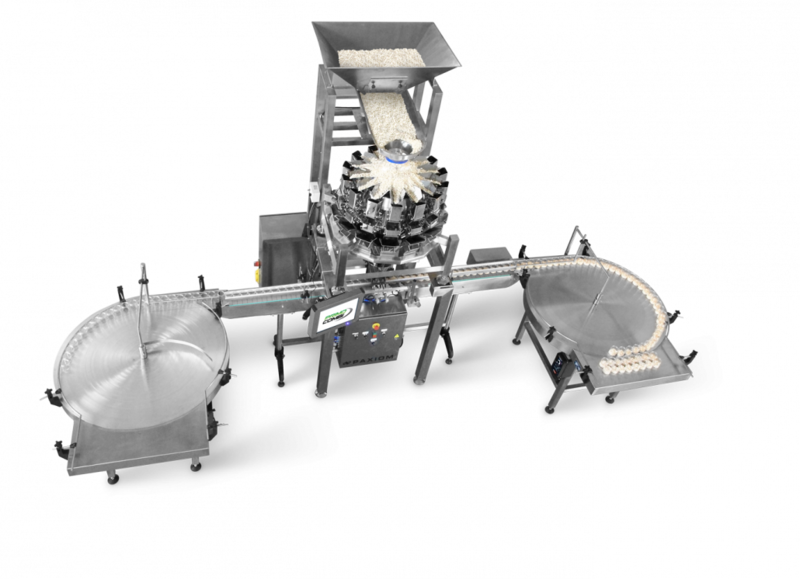 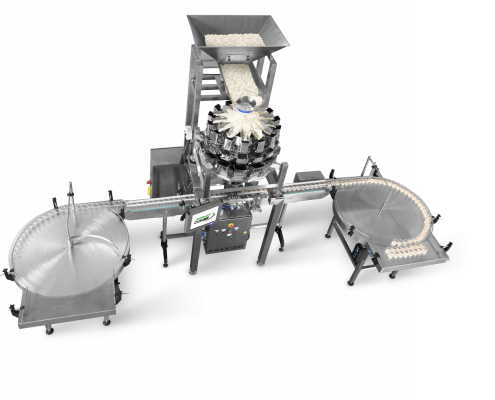 Automatically weigh fill corrugated cases with our V-25 bulk net weighing machine and box indexing conveyor. 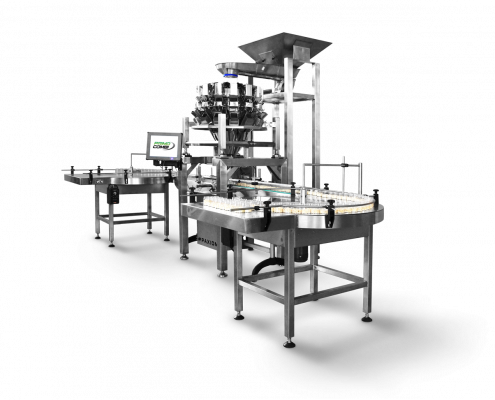 Comes complete with controls that interface easily with ancillary machines to assure no-container no-fill operation and to optimize cycle speed with real time communication between machines and are easy to integrate, clean, and service. 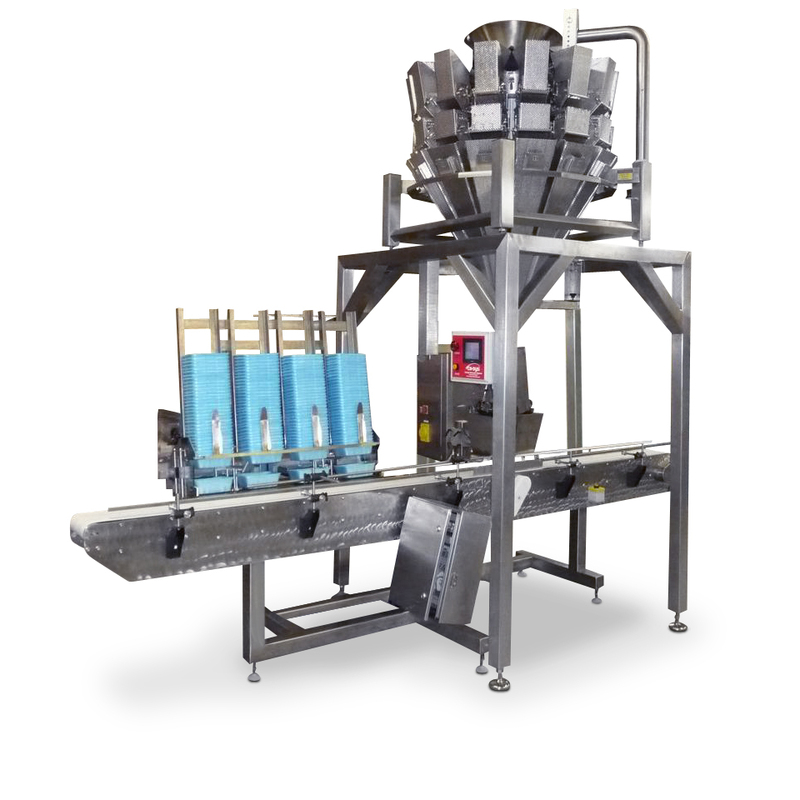 Our conveyor indexing solutions for filling corrugate cases, trays or plastic bins. 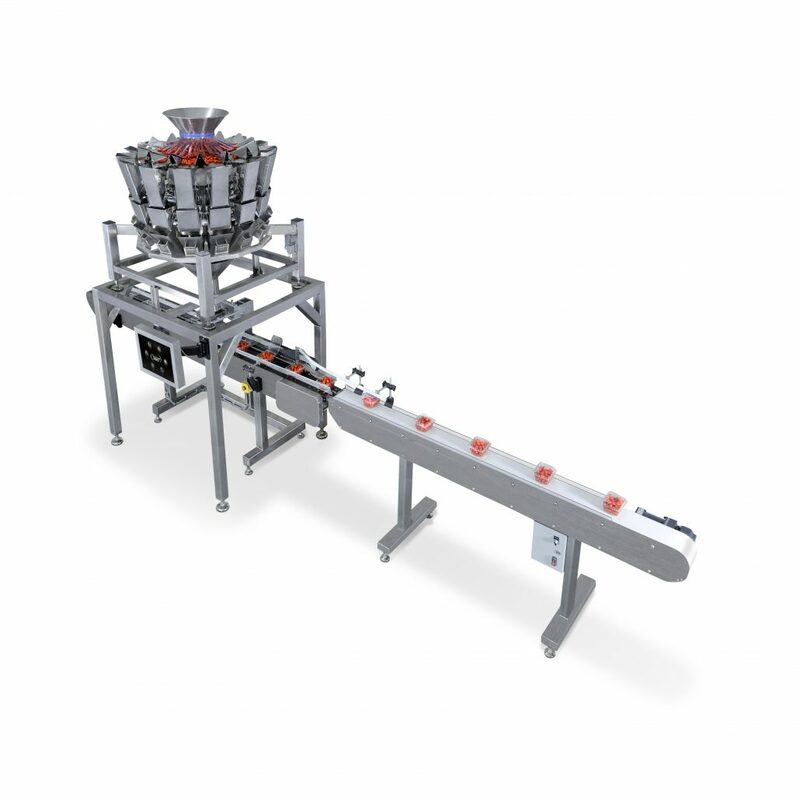 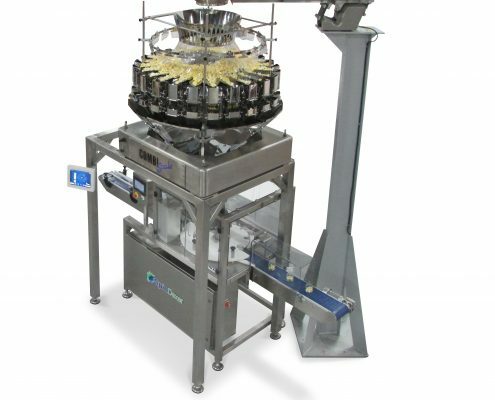 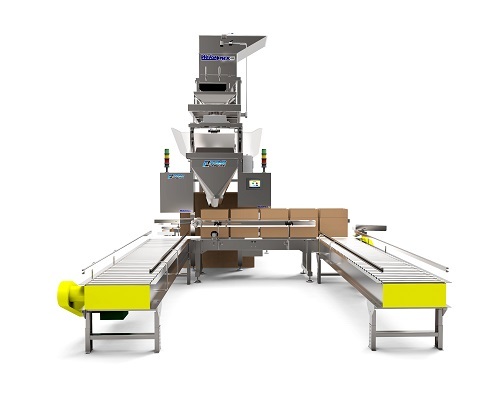 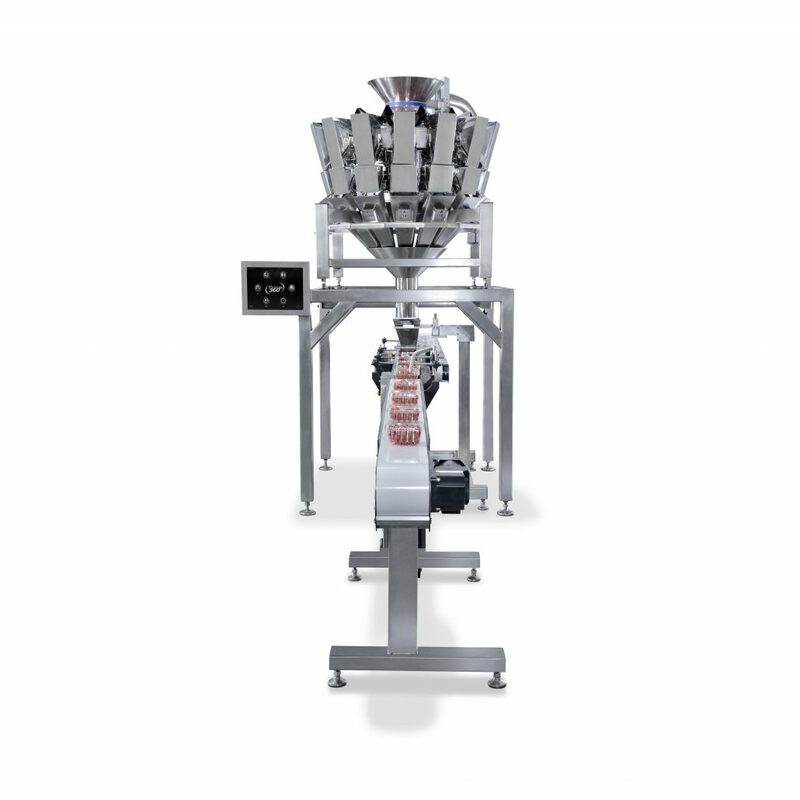 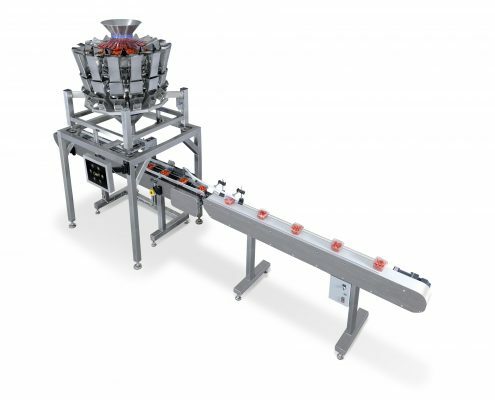 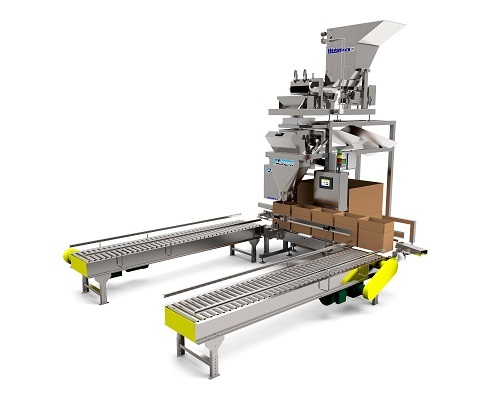 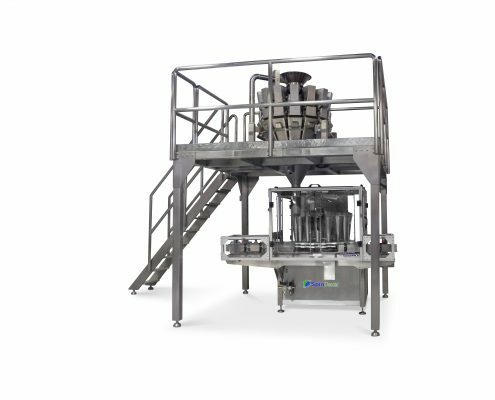 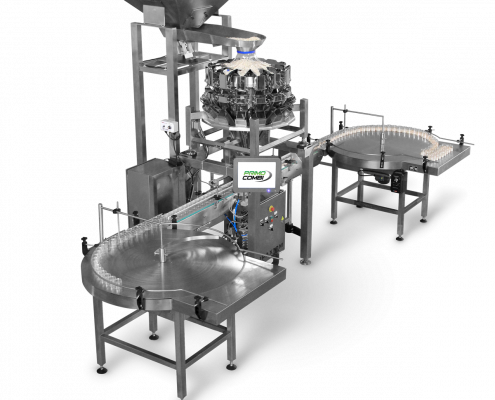 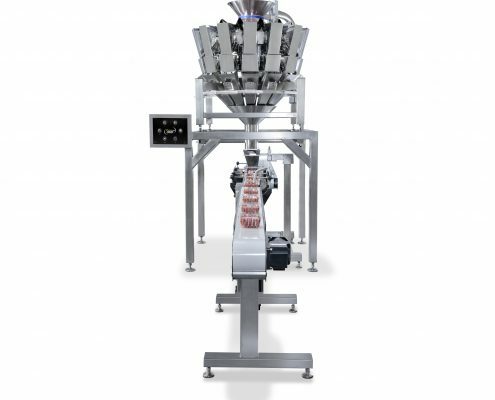 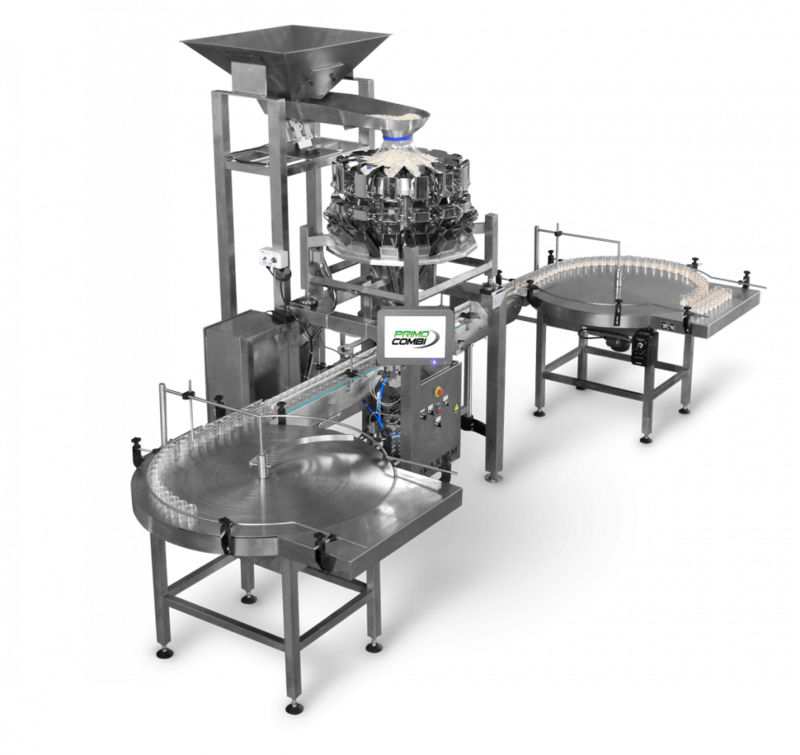 The SpinDexer® rotary indexing conveyor and container filler is engineered for both highspeed applications as well as filling narrow containers. 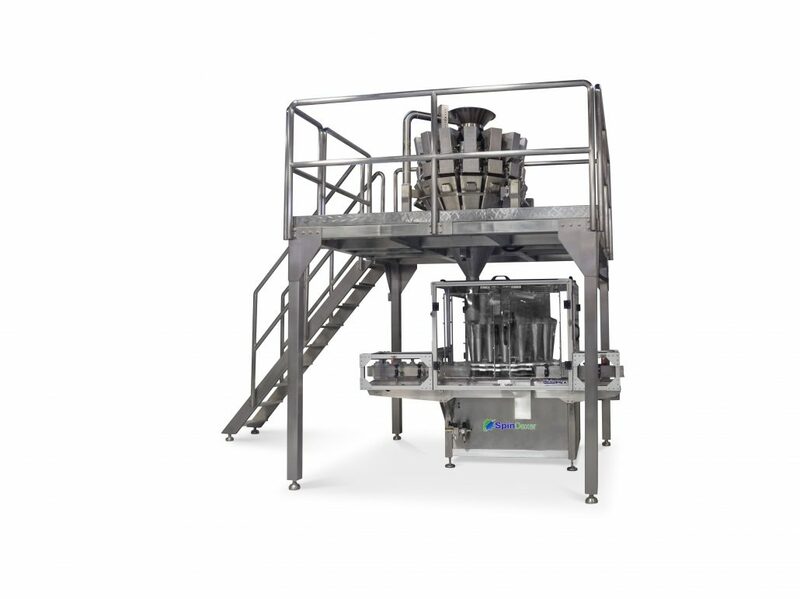 Commonly used for filling jars, cans, tubs or containers with confections, snack foods, frozen foods, fruits, vegetables, hardware, pharmaceuticals, medical cannabis and medicinal’s. 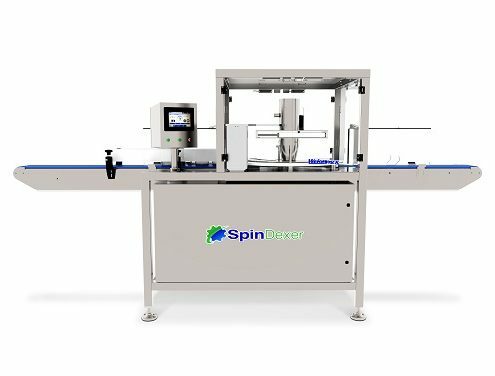 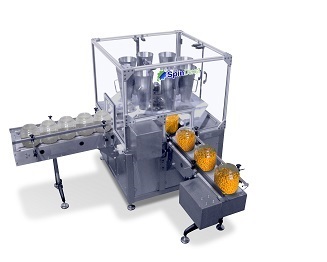 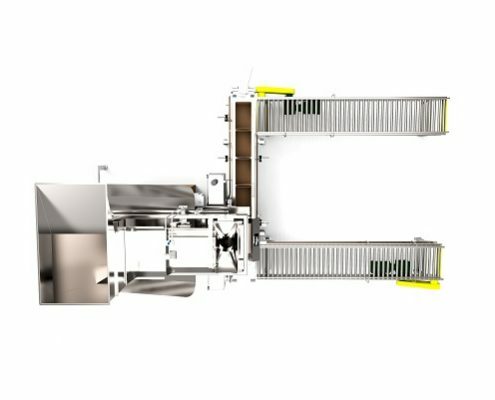 Capable of filling up to 100 containers per minute, the SpinDexer® includes a variable speed infeed / discharge conveyor, travelling funnel assembly, no container / no fill sensor and clog detection sensor as well container reject system if integrated with metal detection.